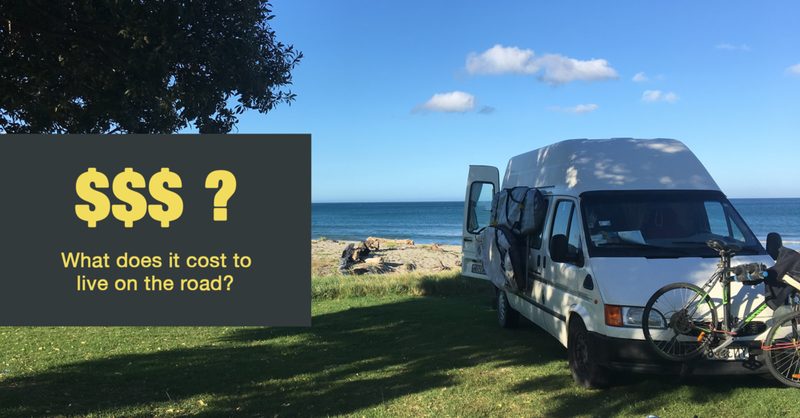 Survey: What does it cost of live on the road in New Zealand? The survey is now closed. You can read about the findings here. One question I am being asked a lot, is how much is costs to live in a motorhome. I'm always reluctant to answer that question because I think it can vary hugely from person to person. There are so many things that have an impact, like how often one stays on a campground versus freedom camp sites, how much one drives (petrol cost), as well as general personal preferences around lifestyle, activities and much more. But, since the question keeps coming up, I want to try and provide some insights. However, instead of just focusing on my own situation, I thought it would be great to get data from as many people as possible. That way I can provide some averages and ranges and give people a much better idea of what it might actually cost (not just how much I spend). The survey below is completely anonymous. You're not asked to provide your name or any other personal details and there is no way for me to figure out who you are. The purpose of this survey simply is to get a better idea of what the average spending of people living on the road, might be. I will publish my findings on my blog in the coming weeks. If you want to make sure you don't miss it, subscribe via the box on the right. The Survey is not closed. You can view the findings here. How long have you been living on the road full time? I know people budget with different timeframes in mind (weekly/monthly/annual). To make it easy for you, simply tell me what timeframe you want to use when answering the following questions. Please make sure you include all cost you have throughout an average year including things like insurance, mobile home repairs and services, WOF, COF, memberships, as well as everyday costs like food and entertainment, etc. Use the timeframe you've selected in the previous question. How many people does the budget number you've given above cover? How do pay for your life? If you are working, which of the below best describes your situation? Thank you very much, I really appreciate your input. I will publish a summary of the findings in the coming weeks. If you want to make sure you don’t miss it, subscribe to my blog via the field on the left.